Article looks at five items that are essentials in your spring wardrobe this season. Phew! Winter is finally over and now it is time to enjoy a brand new season of spring, its arrival heralds a complete sea change in your existing wardrobe. This article is dedicated to helping you decide what to put in your wardrobe this season. Well it is surely not rocket science and we have come up with five bare essential clothing that must be in the wardrobe of a fashionable diva or fashion conscious man. The most wonderful thing about cotton is that it makes you feel comfortable and is the ideal material for clothes during spring and summer. 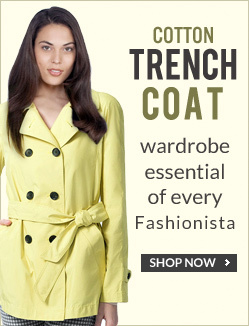 A cotton trench coat will make you feel stylish and is great when one is considering apparels for formal meetings. A high waist jean is something that never goes out of fashion and can we worn with a multiple of clothes. For this season it will look great when paired with tank tops, a matching white shirt etc. Unlike a trench coat, which is outer and cannot be innovated with, the same is not true with respect to jeans. If you are looking out for something premium to wear during this season, then this dress is surely something you could consider. The color white is beautifully virgin and great way to show your transparent spirit. 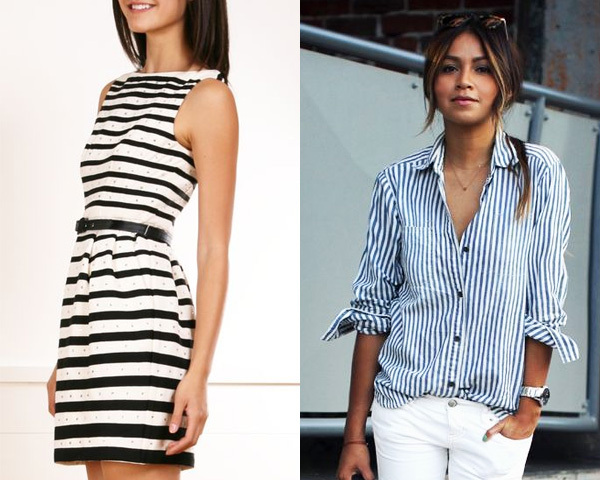 Stripes are among those wears that will never go out of style, when choosing stripes try observing a golden rule (If you are plump go for vertical stripes and on the other hand if you are slim you can go for horizontal stripes). These are surely essentials are their presence brings about a refreshing feeling. If you were looking for a jacket to wear that would cast a lasting impression go no further than opting for a Moto jacket. A good jacket could be considered both for casual as well as party wear. We at leatherfads have a broad collection of leather Moto jackets, which you can choose from, furthermore since its spring you could also take advantage of the discounts being offered. On a concluding note, hope you have enjoyed reading the article as much as we have enjoyed writing it for you. If you would like us to write on a particular topic, do let us know.